Ultherapy® is a non-surgical ultrasound treatment that stimulates the production of new collagen and elastin deep within the skin. The method of Ultherapy uses exact ultrasound energy to target deep into the structural layers of the skin without disrupting the skin’s surface. The treatment will then make the body’s tissue repair process stimulate the production of brand new collagen and elastin which in return create a lifting and tightening effect. The treatment of Ultherapy uses time-tested ultrasound energy which will lift and tighten the skin naturally without surgery. 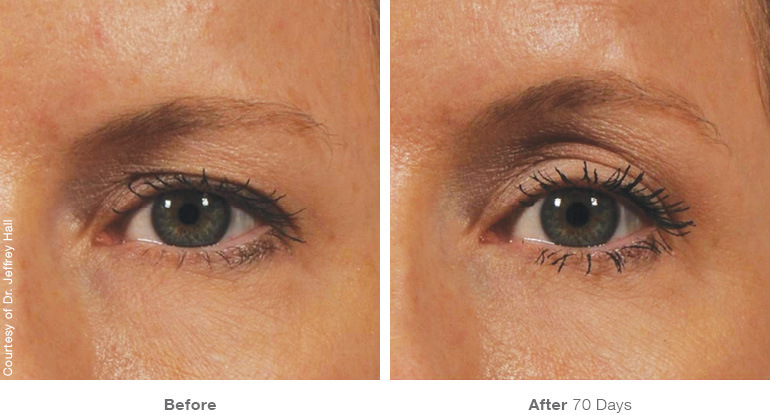 This then helps you achieve a more youthful and fresher look all the way from the brow to the chest area. Unlike surgery Ultherapy wont give a sudden tell tale change indoor appearance instead your full results will develop gradually over a period of around 6 months, which means no one would ever know you have had treatment. Also there are no scars to hide and you will continue to age the natural way rather than have an appearance that may look frozen. Before your treatment, we will schedule a one-on-one consultation with our Ultherapy® Nurse to make sure that Ultherapy® is right for you. 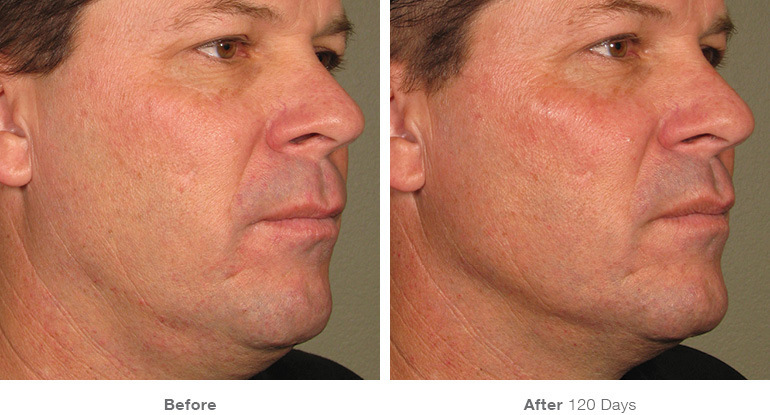 Ultherapy® is indicated for treatment of the upper and lower face, the neck and chest. Ultherapy requires skill and have a medical background who has extensive anatomy knowledge. Non medical practitioners do not understand the ultrasound readings in regards to anatomy and can deliver poor results and a painful treatment and therefore our Ultherapy treatments are carried out by the Clinical Kristeen Geddes so safety and results are guaranteed. Your skin will be thoroughly cleansed by your Ultherapy® Nurse and will apply ultrasound gel and place the smooth treatment transducer/applicator on your skin. Your Nurse will use ultrasound imaging to establish the best placement of the treatment energy, and then deliver the focused ultrasound energy beneath the skin’s surface. During the treatment, you will feel energy being deposited to exact depths, indicating that the collagen-building process has been initiated. Lift that can last for over a year. Studies have shown that improvement in the lift result of Ultherapy® treatment continues to improve after three months. You only need ONE single treatment for one area to give you results that last up to 18 months and which can be extended with booster treatments. 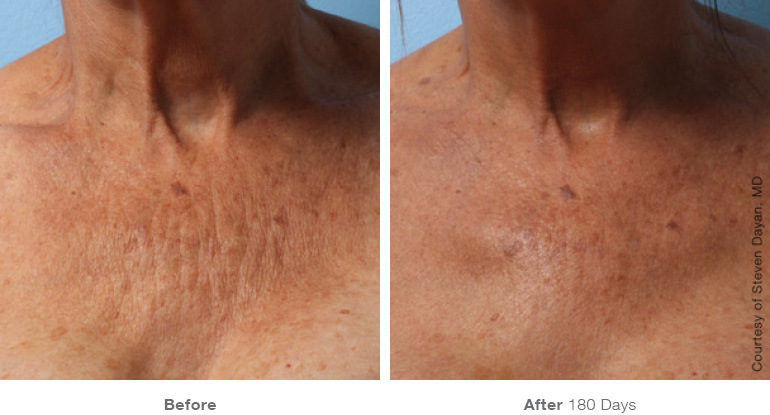 Ultherapy procedures take between 30-180 minutes depending on the areas you will be having carried out. A full face treatment generally takes around 90 minutes. Downtime is a term that is used to describe a period of recovery after a treatment. Some treatments (e.g. lasers) can result in significant downtime, meaning that you may prefer to take time off work and away from social events until your skin has healed. Because Ultherapy® treats under the skin, targeting some of the same layers that a plastic surgeon would treat, in most cases you are able to benefit from improvements but without any unwanted visible signs of treatment. Since there is minimal downtime with Ultherapy®, you are free to return to your normal activities immediately after your treatment is complete. Some patients appear flushed, or may experience slight swelling, tingling, or tenderness to touch. These side effects are mild and temporary in nature, and are not expected to interfere with your normal activities. As with any medical procedure, there is the possibility for other rare effects, which your practitioner will review with you during your consultation. 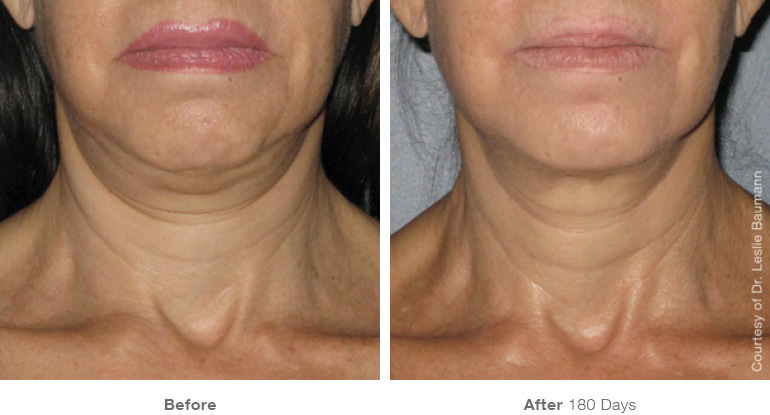 Firming and lifting sagging and loose jowls. Firm and tightening the skin on the neck.